What are you looking for in your vacation? 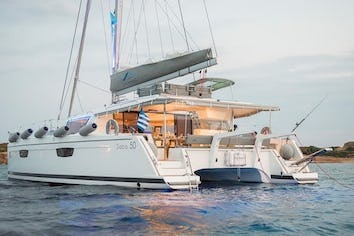 If you are aiming to take your family and friends on a memorable journey, living an adventurous, yet also relaxing and comfortable, tour among the magnificent Greek islands, sailing through the crystal blue seas of the Aegean or the Ionian, then this impressive and luxurious boat, HIGH JINKS II SANYA 57, a definitively elegant and innovative catamaran with a unique, contemporary design by FOUNTAINE PAJOT, is going to fulfil all your desires and expectations. HIGH JINKS can accommodate up to 10 guests in 4 queen size bed cabins and one with double bed all with private bathrooms.HIGH JINKS II SANYA 57 offers the luxury and comfort of a fine hotel. Wide staircases beckon to the tranquillity and privacy of beautifully appointed cabins. 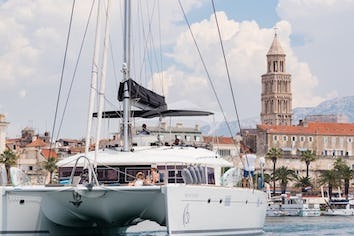 The sailing catamaran HIGH JINKS II SANYA 57 will bring you to the most beautiful places in the Mediterranean while traveling in all comfort and privacy. Guided by her crew you will yourself discover the magnificent islands, nature and culture and most importantly the magnificent clarity of the Greek crystal blue waters. Michalis is a capable captain - his calm personality and winning smile make everyone feel at home from the first second you meet him. 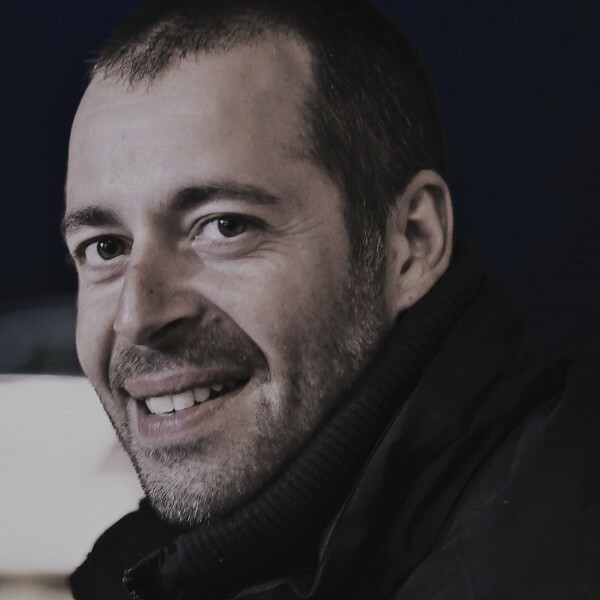 Born in Greece in 1981, from his very first life stage captain Michalisdevelopeda passion for sailing as a sailing student, racer and lateras a sailing coach. His broad sailing experience ranges from sailing races participation to boat maintenance. 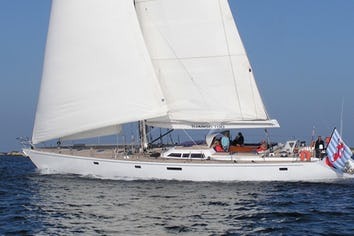 All his life he has been sailing on various S/Y such as Ocean Star, Lagoon, Ocean Voyager. He holds a RYA Yachtmaster Offshore Sail -Power and STCW advanced licenses. Michalis’ experience on the sea is outstanding and combined with his lifeguard experience, safety will be ensured making your trip even more delightful. The Captain's friendly character, fluency in the English language and the communicative Spanish language level allows a harmonious understanding, which is the basis of a comfortable and hospitable vacation on board a yacht. Most of all though he is wonderful with children. Despite the young of his age, Konstantinos born in 1993, has been exposed to the sea life a lot. His interest in working offshore has driven him to work for two consecutive seasons in cruising sailing companies in the well-known Greek island Santorini as well as in sailing boats ranging from 45-80 feet. His excellent interpersonal skills and vibrant personality will ensure the safest and most comfortable sailing trip. Konstantinos is an extreme sports lover with a lifeguard license, always willing to share his interests. He speaks English fluently and he is very communicative. Marianna was born and raised in the heart of Greece, Athens. She is also origined from Chios, a Greek island famous worldwide for its sailors, so she's always been attracted to the sea. She is cooking since she was 16 and has a natural passion and flair for it. Friends and family always praised her for cooking skills so that drived her to follow various seminars in cooking. Her love for the sea, traveling and cooking brought her to the yachting industry. She consistently maintains a high standard in offering a fine dining experience for each and every guest. She is adept at seeking out the freshest produce and products of the local cuisine. Her specialty is health-conscious meals prepared in keeping the tradition of classic Meditteranean cuisine. When she is not on board, She long-distance run, travel, bike, hike, snowboard and volunteer. She is looking forward to tantalizing your taste bunds with a delightful array of mouth watering creations!